Powerhouse Improvements LLC is a pressure washing contractor serving the Seekonk, MA area. Services include Pressure Washing, Residential Pressure Washing, Commercial Pressure Washing, Algae Removal, Awning Cleaning, Concrete Cleaning, Deck & Fence Cleaning, Fleet Cleaning, Paver Cleaning and Pool Deck & Patio Cleaning. 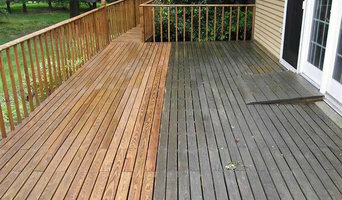 Ecowash Power Cleaning Service is a pressure washing contractor serving the Plymouth, MA area. Services include Pressure Washing, Residential Pressure Washing, Commercial Pressure Washing, Deck & Fence Cleaning, Pool Deck & Patio Cleaning, Fleet Cleaning, Concrete Cleaning, Graffiti Removal, Paver Cleaning, Algae Removal and Gutter Cleaning. 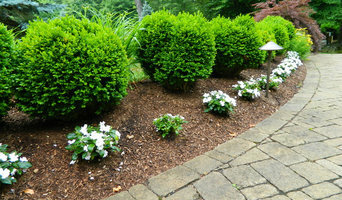 Live Earth New England, Inc.
Live Earth New England has been installing landscape and hardscape creations throughout Massachusetts and Rhode Island for over 20 years. We have extended our services to include event preparation. We will continue to focus on providing outstanding customer service at a competitive price. We have the resources to exceed our customers expectations and complete preparation on budget and on time. Our staff will ensure your home or event venue will look amazing! We provide quality and reliable maintenance services for your house. Whether you are a house-owner looking for an honest and professional contractor or a property management firm looking to improve your property’s curb appeal, we are here to help. Our mission is to provide the best job in the most professional manner at the fairest price. We treat every client with respect and caring about our reputation. We pledge to do this by following stringent practices and protecting the environment. Tollins Window Cleaning Co., Inc. was established in 1979 with a focus on providing the highest quality and most professional window cleaning service available in the industry. Since the completion of our very first job more than 30 years ago, we have continually taken pride in our honesty, dependability and professionalism in delivering service of superior quality. We have always sought to improve our level of work by using the latest techniques available to clean your windows. While our specialty has always been window cleaning, we have added other services such as oxidation and hard water stain removal, scratch removal, gutter cleaning and pressure washing. We have maintained our original focus on quality workmanship and exceptional service because we understand that your satisfaction is the key to our success. We will continue to work hard to provide you with the most professional and superior quality service in the industry. Your calls will always be returned promptly and you will receive exceptional service start to finish. Our professional, courteous uniformed staff will clean your windows using the latest cleaning techniques and safety procedures. Your service will be completed quickly and safely with no mess left behind, allowing you to enjoy the brilliant light and clear views through streak free windows. We treat your home like we treat our home. This is the philosophy that has made Shine Thru one of the region's top family-owned and operated window cleaning, gutter installation and cleaning, power washing and roof snow removal businesses in the region for two years. Our professionals strive to provide you with the best service to keep your home well-maintained. 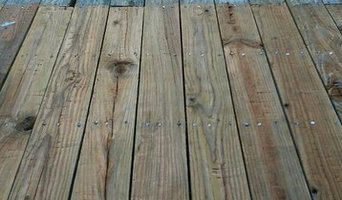 We will cover any issues you experience after our work is complete. You won't have to worry about cleaning up once we're done. Your home and business will look new once we clean your windows, clear your gutters and power wash the exterior. Our experts are detail-oriented, so you can rest assured your exterior will look great. What do Wakefield, MA exterior cleaners do? Find exterior cleaners in Wakefield, MA on Houzz. Search the Professionals section for Wakefield, MA exterior cleaners or browse photos of completed projects and look for the exterior maintenance professional’s contact information.